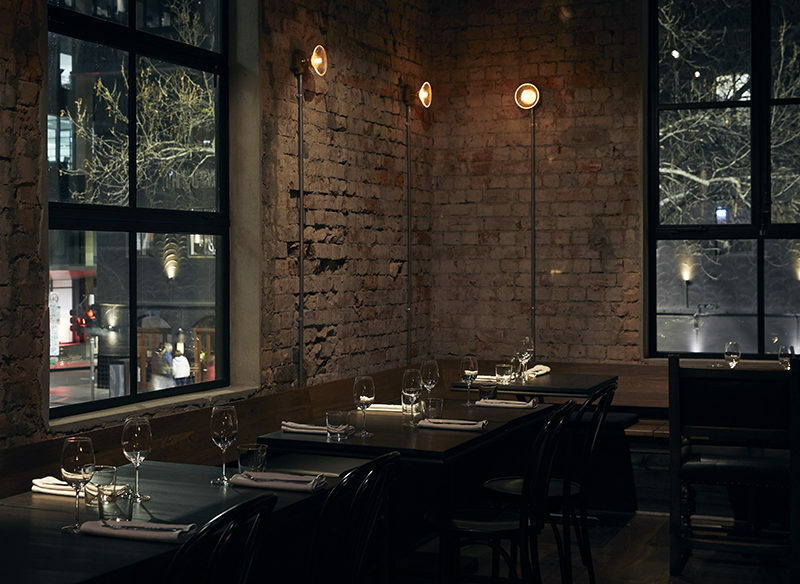 The refined sibling of Melbourne’s top foodie wine bar changes the pace of inner-city dining. To say that Lesa’s reputation preceded it would be one of the gastronomical understatements of 2018. 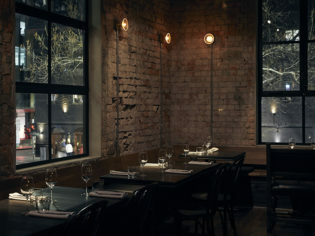 Even before the Melbourne CBD venue had opened its doors, hype around the homely eatery, which resides above its ‘walk-ins only’ counterpart Embla, had rippled through food-loving circles with anticipation. A hidden dining room with an orthodox approach to menu formats and an enviable wine cellar? I added it to the list and set aside a Saturday evening to explore. Masterminded by the same team that gifted us the much celebrated, now defunct eatery The Town Mouse, Lesa is a joy for traditionalists. Upon climbing the narrow staircase, I am greeted with a space comprised of two distinct and unfussy halves. The larger dining area contains an open kitchen, flanked by bottle-green glazed tiles, stained wood and heavy chintz curtains, while the area reserved for couples is all about exposed brickwork and vintage filament bulbs. Both sides are cosy, with an atmosphere that’s perfect for relaxed date night dining or family celebrations. Lesa’s menu bucks the current trend for shared plates, instead centring around two-course, four-course and degustation dining, with a selection of modest sides to bolster the main event. Wines can be matched per course, but with plans later in the evening, I opt for a glass at the staff’s discretion. The dishes bear the mark of a master of simplicity. I settle on the raw flounder, diced with unripe plum, green peas and fresh blackcurrant leaf, on the proviso that my partner would share a mouthful of the beef tartare, served with slivers of summer tomato in a smoky walnut cream. Keen attention to textural detail lets the high-quality produce sing, and the tartness of the plum balances the soft wash of ocean salt without cloying for attention. So far, so good. For the main course, we choose the lamb rump, which comes served on a bed of far-flung ingredients including freekeh, Japanese seaweed and green tea. After the juicy richness of the lamb, our final selection, the koji rigatoni and fire candle radish dusted with fennel leaf ranks as the least interesting of the evening’s dishes. It fills a gap but we both agree that, when it comes to carbs, our side of house flatbread cooked over open coals and served with shitake mushroom butter and macadamia nut oil wins out. Food aside, Lesa’s main strength lies in the ease that it puts you at as soon as you’re seated. It’s core to the venue’s ethos – its name derived from a Norse word meaning ‘to gather’ – and it succeeds in cocooning me against the city’s hubbub on a Saturday night. For relaxed dining off the main Melbourne thoroughfare, this slow and steady eatery wins the race. Produce-centric, multi-course dining that champions local flavours, set in an intimate above-street-level dining room that brims with warmth. The house flatbread with macadamia oil and shitake mushroom butter, and of course, the wine cellar – seconded only by the pairing skills of the staff. The draught in the stairwell (if you have a moment’s wait there on a cold day), and the express approach to earlier seatings on busy evenings; we wish we had booked in for four courses to soak up the atmosphere.